C.I. 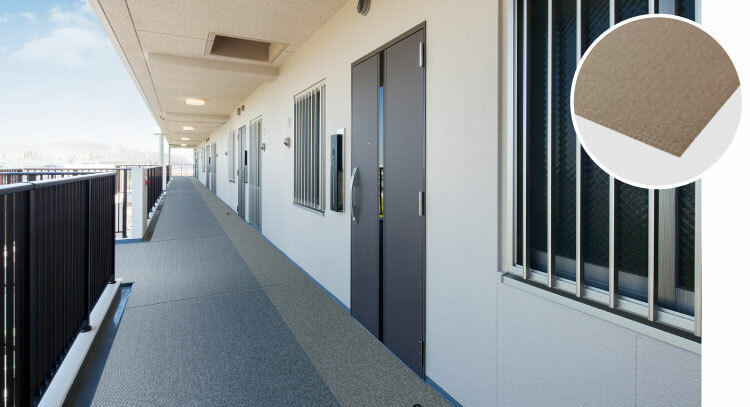 TAKIRON’s flooring supports comfortable living environments from the floor up by ensuring safety, durability, and comfort in addition to providing decorative functions. 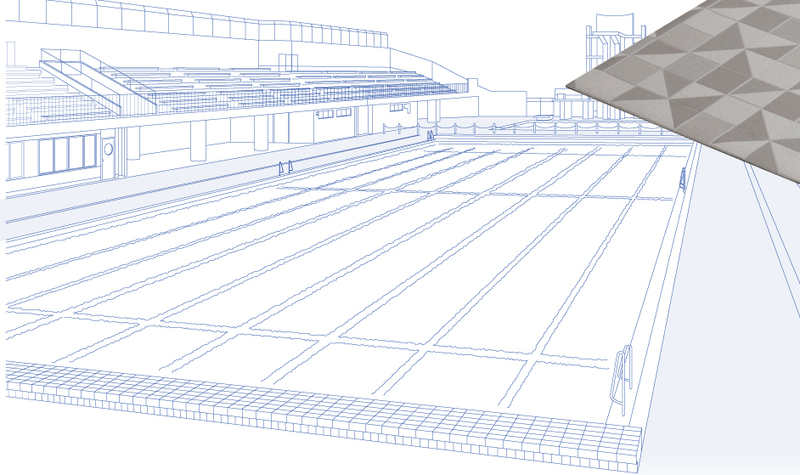 Aiming to create the optimal floor for people and the environment, we are focusing on the development of new products, manufacturing technologies, and process and construction technologies. C.I. 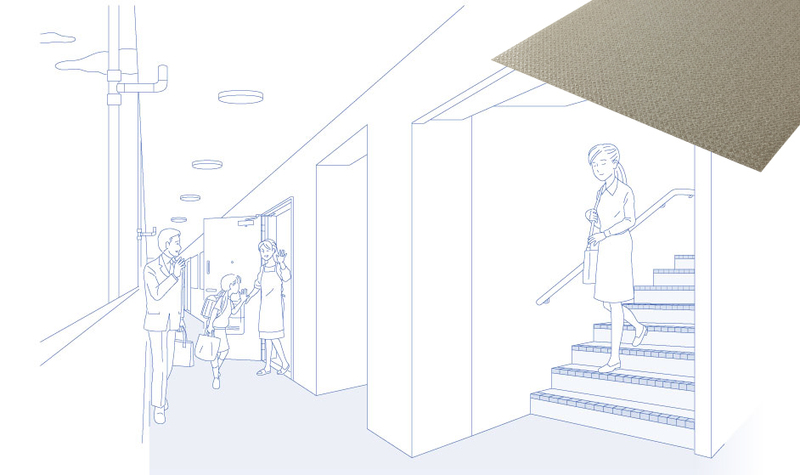 TAKIRON will create the future through its flooring. 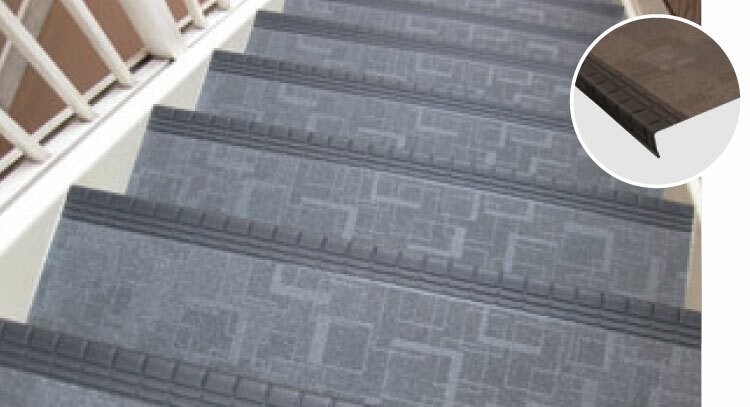 Is anti-slip due to the characteristics of its material and embossing, along with its excellent absorption of floor impact noise , it creates comfortable, safe, and secure living spaces, such as in apartment buildings. 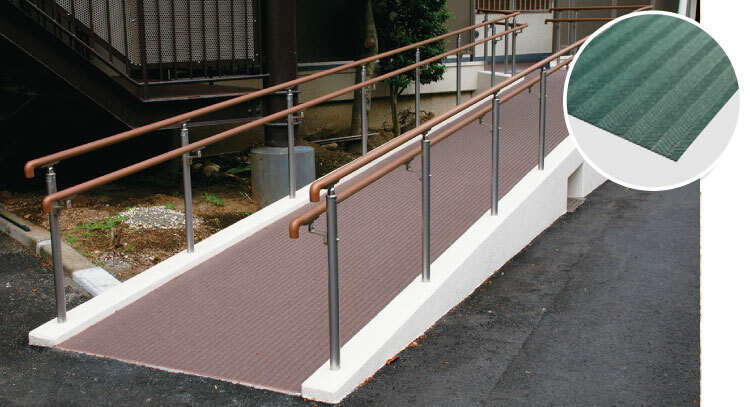 Flooring material created especially for ramps that offers slip-resistance even when used on inclined surfaces. 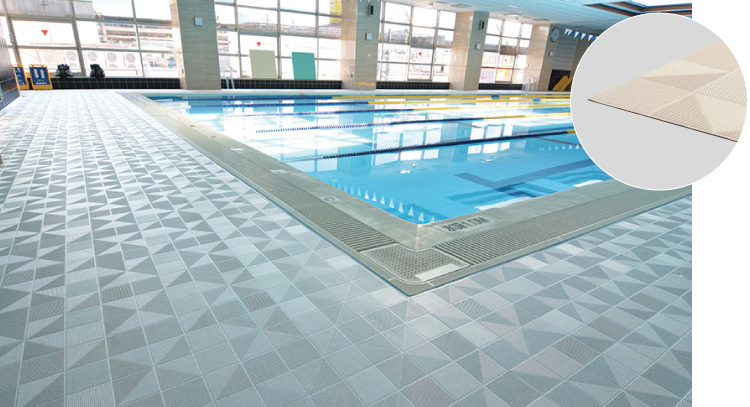 Combining an original formula with an embossed surface featuring excellent drainage, this product prevents accidents (falling down) even when wet. 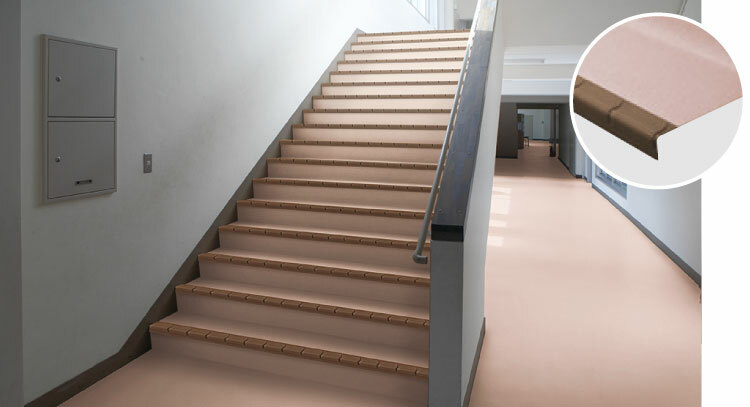 Offers absorption of impact noise, slip-prevention, and weather resistance to prevent accidents (falling down) and lessen impact noise. 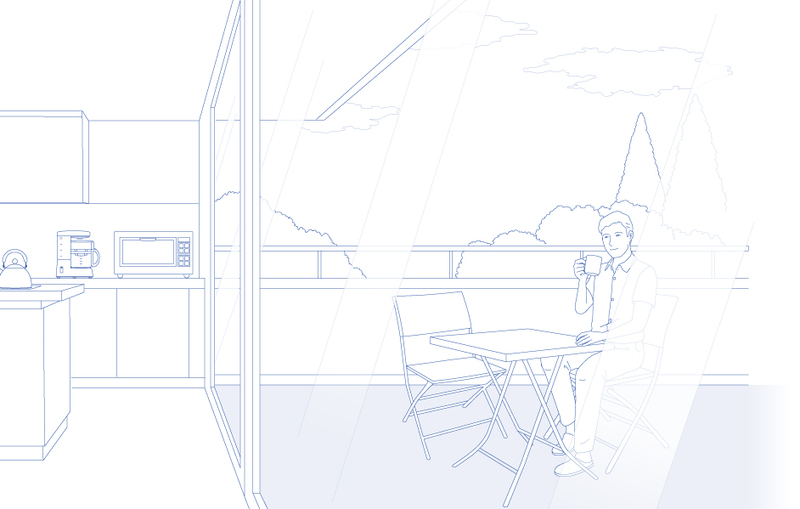 It helps in the creation of shared spaces that are both comfortable and safe. 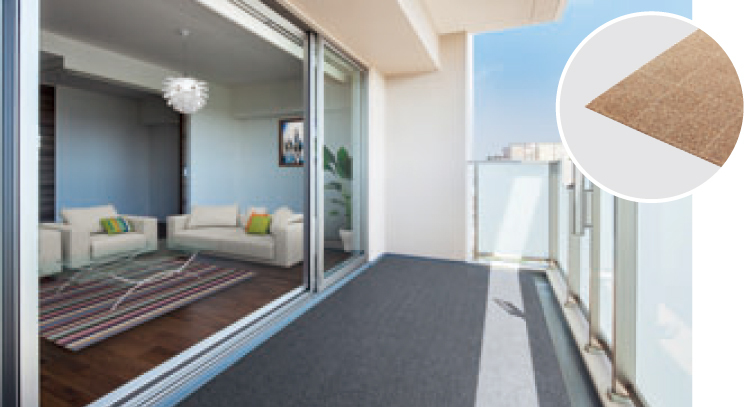 Flooring material that does not stain, is easy to clean and maintain, all of which are required for balconies. It maintains slip-resistance with the minute bumps manufactured into the embossed surface. Slip-resistant vinyl flooring sheets that remain aesthetically pleasant for a long period of time. 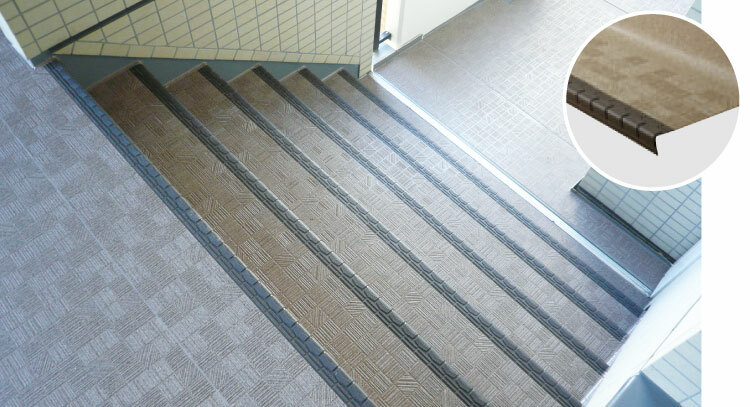 A material for stairs that can be used like adhesive tape to create slip-resistant and good-looking stairs for low-rise apartments. 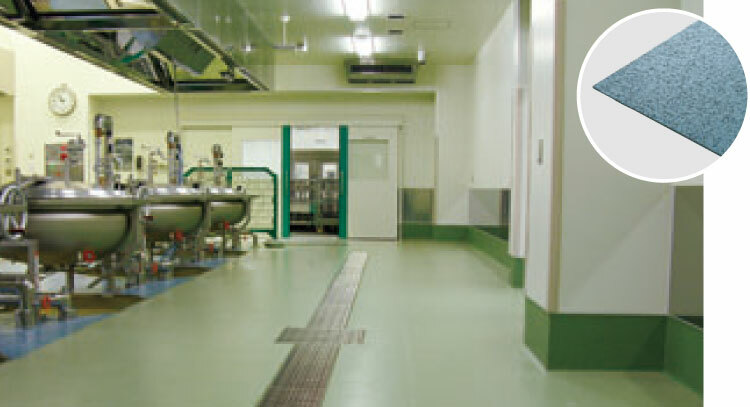 A flat and slip-resistant material that is antibacterial and easy to maintain. 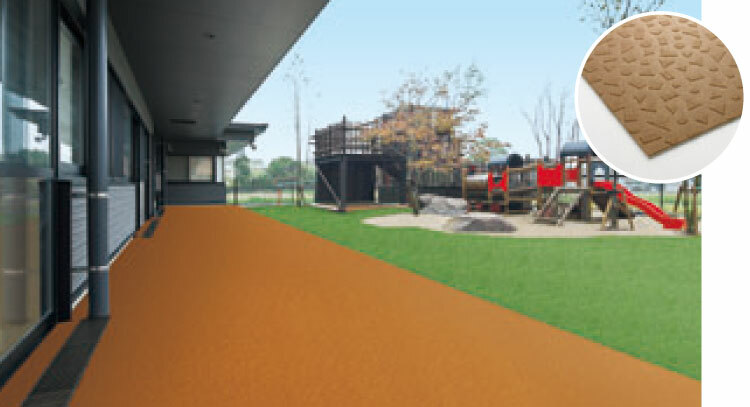 A material that is optimal for open-air corridors and terraces for children’s facilities, offering slip-resistance, easy maintenance and heat insulating/infrared reflecting properties. A material for lavatories, which is easy to clean and has antifouling properties. 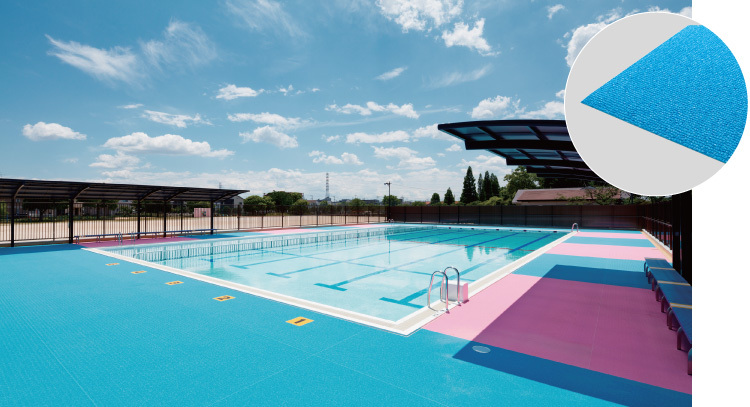 A special slip-resistant vinyl sheet that withstands wear and maintains a sanitary environment. 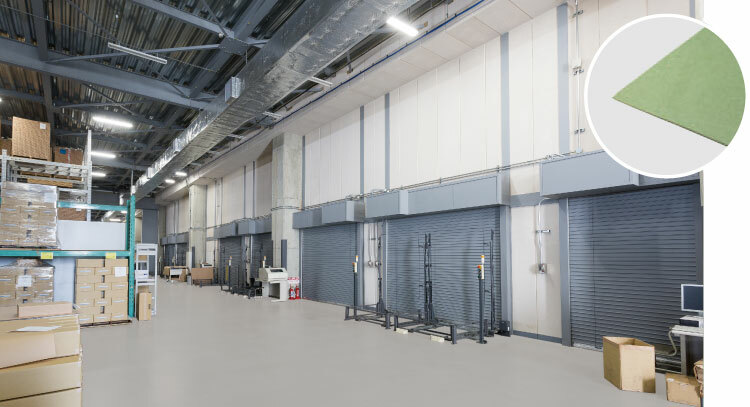 A dynamic load-resistant flooring material that avoids blistering caused by loading of heavy objects.